This device is ideal for measuring the resistance of grounding on electrical equipments as well as the earth ground conductivity. 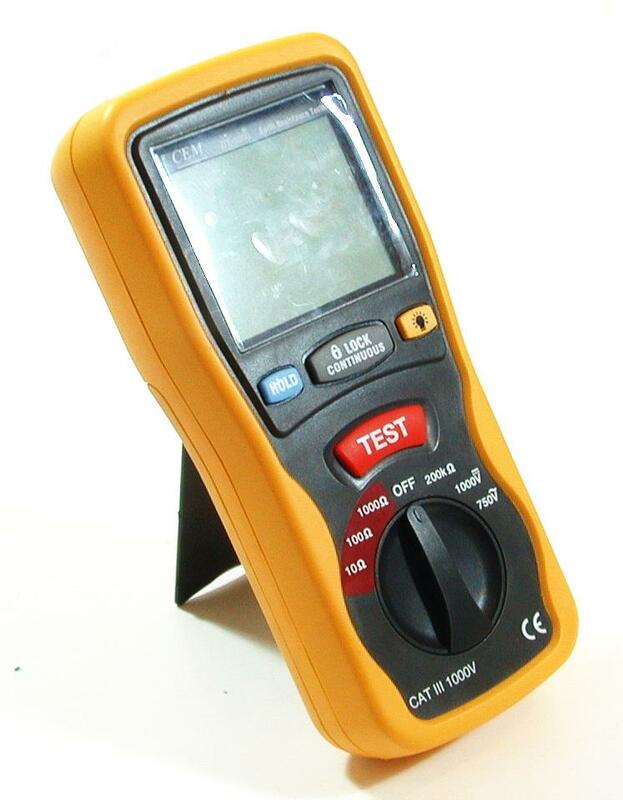 This is a brand new CEM DT-5300 CE certified digital earth ground resistance tester. This top-of-the-line device replaces the conventional hand generator type tester. This device is ideal for measuring the resistance of grounding on electrical equipments as well as the earth ground conductivity. It can also measures other low regular and liquid resistance as well as AC / DC voltage and resistance up to 200KOhm. This instrument finds wide applications in the power based industries, telecommunication networks, audio systems and electrical traction systems etc. A heavy duty carrying bag is also included for the protection of the device and your convenience. *** Warning: This device is to be used by the certified technician only. Inadequate use by the un-trained personnel may cause equipment failure and severe body injury.